Back to fairing business, here is the new installation done for this ZX6R 636, a product of our new latest 2014 mould injection for ZX6R 636. Please contact our authorised dealers or email us at info@sbkmotoworks.com for booking and order. Fairing design tom sykes wsbk ada x bro.. really interested.. 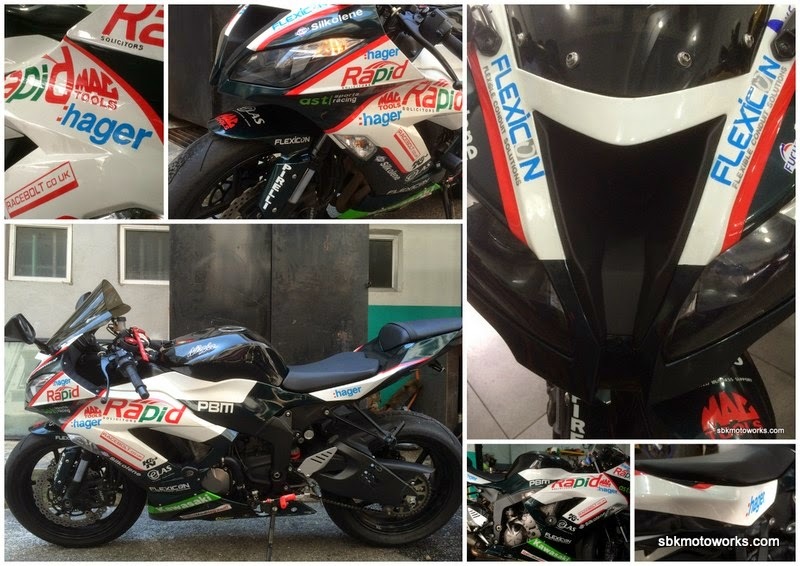 Yes, we can produce the same fairing with Kawasaki WSBK design. Please contact any of our dealers for booking. Selain design ni ade design lain x? Kita boleh design ikut kehendak pelanggan. Boleh call dealer kami untuk dapatkan design dan advice.